Are you looking for a more fuel efficient vehicle? If so come take a look at the Toyota Prius near Indian Wells, CA. This innovative new Toyota has been turning heads for years and it will save you money at the pump. Offered as the Prius, Prius c and Prius v models there are quite a few options for hybrid engine and trim type. Browse our entire inventory of fuel-efficient Toyota cars online and compare prices, estimated MPG, vehicle photos, trim and color options for Toyota Prius near Indian Wells. Our Toyota dealership also offers a great selection of used cars, frequently including pre-owned Toyota Prius models. Many of these are certified pre-owned models with low mileage and extended factory warranties. For anyone on a budget, buying a Certified Pre-Owned Toyota Prius or other used Toyota model is a great way to get a reliable vehicle at an amazing price. 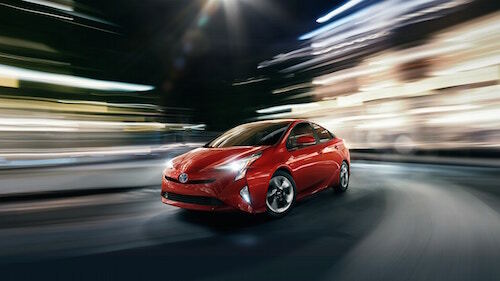 Please contact us with any questions or stop by to test drive a Toyota Prius near Indian Wells, California. We are on standby to help any way possible.